FIRST OPEN THIS SUN 4/8 2-4PM! Historic Troy Grand 3-Fam Brownstone. Large open loft-like spaces. 2nd & 3rd Floors 1BR PLUS guest/office areas. Hdwd fls. 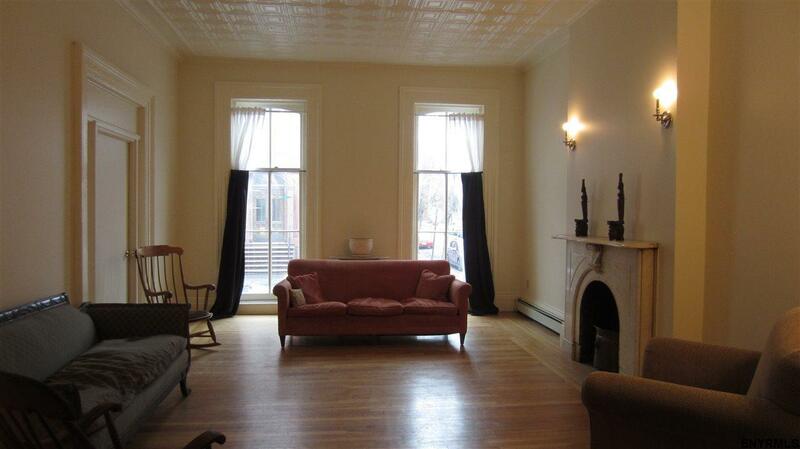 Orig & restored tin ceilings, marble & wood mantels, crown moldings. 2 IKEA white kitchens. All units 1 microwave. Full (prev. occupied) basement. Newer furnaces & NEW sewer line. Hardwired smoke detectors. Back decks, yard. Possible curb cut. Sep utilities. Ins costs includes flood.